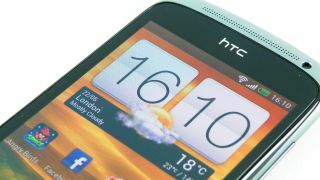 Smartphones haven't penetrated far yet into China, but HTC is looking to change that in 2013 by offering its cheapest phones yet in the emerging market. HTC Chief Financial Officer Chang Chia-Lin said in a conference call Monday that the Taiwanese company will soon begin offering smartphones for under $320 (UK£203, AU$306), the current lowest tier of HTC phone available in China. Chang told investors that HTC will focus more on emerging markets in general in 2013. It started with Myanmar last month, and it looks like China is up next. He said the smartphone maker wants to make prices lower, but not too low - they firm is shooting for between 1,000 and 2,000 yuan, or $160 (UK£101, AU$153) and $320 (UK£203, AU$306). Reuters reported on Monday that HTC predicted revenue in Q1 could drop as much as 17 percent from the past three months. The company predicted first quarter revenue of T$50 billion to T$60 billion (US$1.69 billion-2.03 billion, UK£1.07 billion-1.28 billion, AU$1.61 billion-1.94 billion), compared to T$60 billion in Q4 2012 and T$65.75 billion (US$2.22 billion, UK£1.41 billion, AU$2.13 billion) one year prior. Profit margins will remain flat at best, according to the company. Hopefully HTC's M7, the company's next Android flagship, thought to be launching Feb. 19 with a release date of March 8, can help straighten things out. Chang also hinted at other new products that have yet to be announced, according to Reuters. Unsurprisingly, Apple and Samsung's increasing global dominance are likely to blame for HTC's falling fortunes. Apple's revenue in Greater China in December was up 60 percent year-over-year, to $7.3 billion (UK£4.63 billion, AU$6.99 billion). Apple CEO Tim Cook is expected to continue focusing more on the region in the near future. Samsung, for its part, scored a record profit of $8.3 billion (UK£5.26 billion, AU$7.95 billion) in Q4, an 89 percent increase, Reuters reported. The Korean company recently invested $58.9 million (UK£37 million, AU$56.4 million) in Wacom, a stylus company.